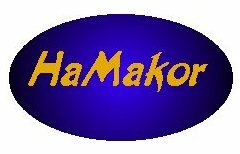 "HaMakor" is Hebrew for "The Source." The goal of HaMakor is to offer bibliographic help in researching topics within traditional Jewish literature. I want this to be a research library. "How do I use HaMakor?" you ask. Just click here and you will find a selection of research topics. Pick a topic, and see whether your interest is covered here. If it isn't, e-mail me; I want to know! Your chance to help: Whether you have ideas for topics of interest, or you have files full of potential references to put up on HaMakor, please e-mail me at . All submissions are welcome and encouraged, and will be credited!